Here in this article we will do rumor round up of some important updates related to the upcoming Far Cry 5 action-based game. Even though we have no official announcement about the game, but still we have lots to share about Far Cry 5 news, features expected and prediction of its release date. Far Cry is a first-person shooter computer and video games series developed by Ubisoft Montreal. The game releases for all popular platforms, PS3, PS4, Xbox One, Xbox 360 along with Microsoft or PC user. Ubisoft and the entire developer team have recently sent survey to various selected users, which hints the new version, Far Cry 5 game is already in the works. 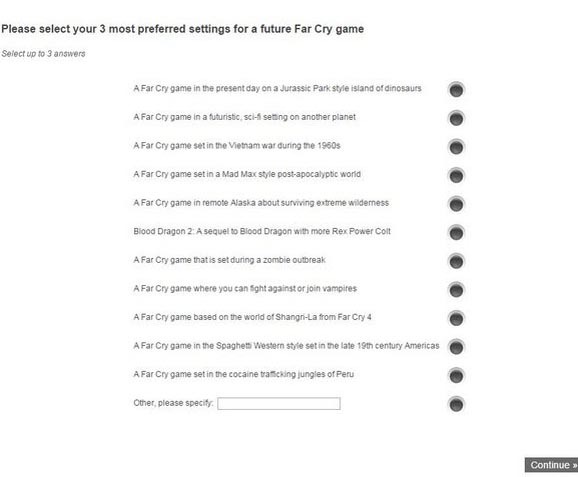 The survey offers more than 10 variants of locations where they would love to play Far Cry game. This survey, simply shows the developer team of Ubisoft needs few recommendations and ideas from players before starting work on the upcoming series of the Far Cry game. Based on the survey hints obtained from Far Cry 4 fans, Ubisoft suggested implementations in Peru jungles, gaming islands to resemble Jurassic park style, introduction of vampires and zombies, Vietman war and so on. Until now, people have wanted for large numbers of things and exciting features, which they want to view in the Far Cry 5 game. Here, we have attempted to share about 6 such features wishlist with you. As per the updates displayed, majority of game lovers do not want for any of the recycled assets derived from FC4 or FC3 in the upcoming version. 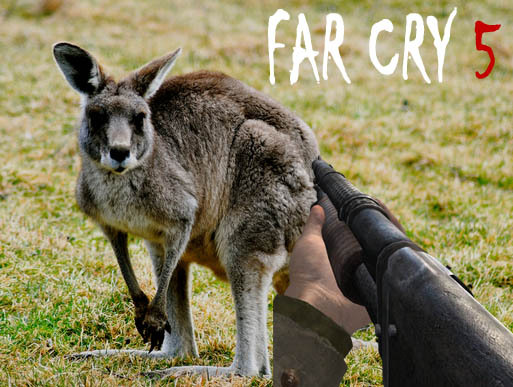 In other words, individuals want to avail of a new type of weapons and animations in Far Cry next series. Large numbers of people often want for the addition of various innovative NPC classes, like for instance soldiers categorized under spec ops. Furthermore, most of the fans have preferred for Dunia 3 Engine, as it successfully held back the actual potential for the last version referred as FC4. Most of the players want to get different type of map structure rather than a single large-size map. Alternatively, game lovers want to avail of two big-size islands and at the same time, want to know the way, by which archipelago works with only one section being completely fledged urban type of city. Large numbers of players willing to get variety in Pilotable Planes instead of incorporating a single type of Pilotable. On the other side, in case of helicopters, individuals want for more types, especially the one identical to little bird or AH-6. Outposts of Far Cry 5 should compulsorily reach to the next evolutionary level. The reason for this is that the majority of players feel bored after reaching 4 outposts. New outposts should include few military bases as helicopters and armored vehicles, secret bases or Spec ops and a latest way of unlocking weapons named as weapons stash depots. Gaming fans also recommended for few improvements to bring in the crafting and hunting system of Far Cry 5 with the objective to make it highly interesting as compared to its previous four different series. In fact, many people have wanted for the use of few traps to catch different animals. On the other way, animal creatures used in the fifth version should essentially be smarter than before. Gaming enthusiasts always show eagerness to get almost every latest update associated with their favorite games available over the internet. Because of this, many fans of Far Cry series are interested in knowing about the launch of Far Cry 5. 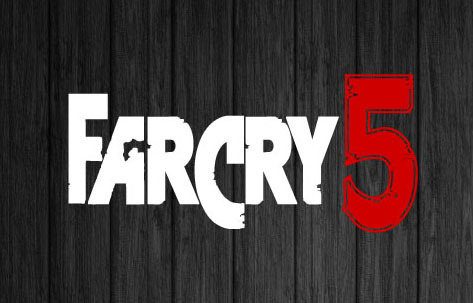 After analyzing the past release date of Far Cry game we predict Far Cry 5 to release somewhere between 2016 – 2018. This is because Ubisoft gives lots of importance to this franchise and launches a new version of the game within 2 – 4 years. 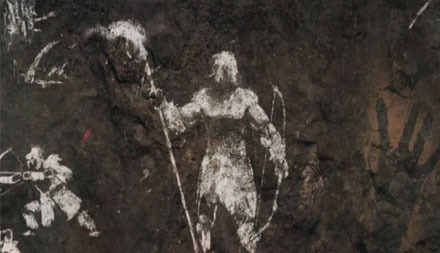 Ubisoft has now officially announced a new game in Far Cry series called Far Cry Primal which belongs to the Stone Age-era. The game is schedule to release for PS4 and Xbox One on February 23, 2016 and for PC version will come in March, 2016. At 12PM on October 5th Ubisoft put up a livestream on Youtube promises exciting news to come. The livestream only show a cave paiting of a man or man like for hours with no news. Fans and people all around the world were left thinking what is it? Is a new game from Ubisoft? 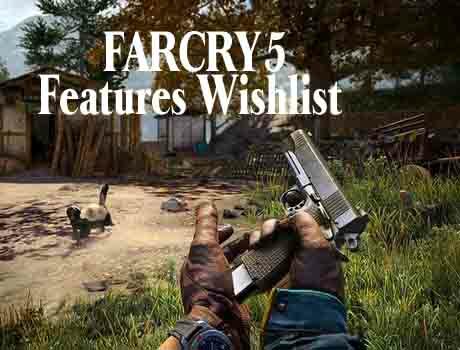 Far Cry fans has huge wishlist for Far Cry 5 first-person shooter video game which they have shared on various forums over the web. Here we bring some of the most wanted features in Far Cry 5. Far Cry was first published by Ubisoft on March 23, 2004. The game was sold more than 730,000 units within four months of release. The story starts with a former US Army Special Forces operative Jack Carver. He is searching a female generalist named Velerie in the game. The game has many interesting elements related to the weapons and wars. After the success of first version there are lots of other versions have come in the market as the latest version of this series Far Cry 4. 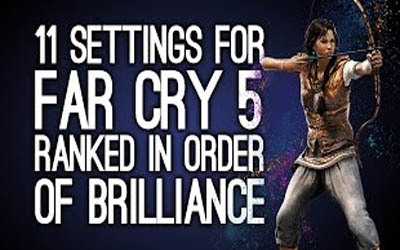 As it’s not declared yet that when will the next version of Far Cry release, but still we expect some unique features that should be in the Far Cry 5 so let’s check them out. Far Cry 4 is a big game and if Far Cry 5 will come then it should be even bigger. It should not be bigger in comparison to its last version so that we can run this too on the lower version of PlayStations or Xbox or PC. There should be more outposts, towns and places to explore with rivers, mountains, lakes etc. More underground water curves should be available in the game with beauty and thrill. So we want bigger world and journey to play. We have seen many magical syringes that give you the life in the game but I want something different and new this time. It should be more real like if you get shot in right arm then you can’t pick the gun with that arm or if you get shot in the legs then you can’t sprint or jump. Apart from that survival system should be implemented as you will get hungry, thirsty, tired etc. 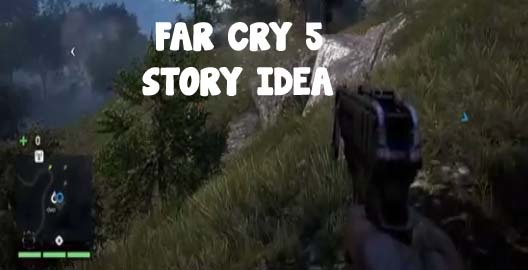 If we see the previous version of Far cry then they have very easy difficulty level, so interest in the game can be decreased after some time. So I expect the improvement in the hunting system and make it more interesting. Some type of traps should be also used for catching the animals while on the other side animals should be smarter. We have seen very less choice of weapons in some of the versions so I want new cool weapons should be added in Far Cry 5 as pistols, shotguns, assault rifles, sniper rifles, LMG/HMG, rockets, a bow etc. New vehicles should be added to the new version as I want to see some dirt bikes, snow mobiles, and mine carts. If there will be helicopter or vehicle like tank then it will add some more fun to it. The game should have more mysteries so player will lost completely in it. I want mystery as Shambhala, Rainbow Body where the physical body of those who studied Buddhism, Red or “Blood” Snow etc. It’s not enough even I want more for making its lover crazy. Weather should change the gameplay. As ocean waves from Assassin’s Creed IV should affect you, if you are swimming or on a boat etc. Strong weather should be able to tip over vehicles, water vehicles etc. The accessories like the coats, boots, gloves, hats, and other clothing of the player should be attractive and effective to run fast. Apart from that coat should increase cold resistance and gloves with better weapon handling. It has the ability to sell the clothes also. As now there is no any sure news about Far Cry 5 still we just wish that it would be amazing whenever it will release. So let’s hope for the best performance of Far Cry 4 and wish that we will hear some actual news about the Far Cry 5. They are the group of setting that are ranked by the public, according to their brilliance. They are scenes that portray full-fledged actions and thrills. This survey was sent by the Ubisoft to the players of Far Cry. This video consists of 11 settings in Far Cry 5 and each setting comprises of different characters and their strategies to win the war. The 11th setting portrays about the World of Shangri and it is really an interesting video that dates back to the ancient culture of the warriors. It portrays how the fire is produced from the weapons or flamethrowers and his battle with the tiger. The characters are disguised as dragons and they use their martial art skills to fight against their enemies. The next video is about the cocaine trafficking in the jungles of Peru. It portrays the battle in the dire jungle using different modern weapons. The scene includes the scene where the cops are chasing the cocaine trafficker. The Zombies are on the top of the list because everybody loves the Zombie characters. The Zombies wage the battle in the Dead Island and Mad Max is always the favorite character of the people who constantly watch English movies. The scenes appear somehow similar to the happenings during the World War I and World War II because it includes the firing of the cannons on the trail. Different scenes of violence are depicted on the trail such as chasing by cars and fire produced in the cars during the fight. The next setting is about the Fallout of the Las Vegas, which showcases the city being destroyed by the war and the role of the police forces in the war. The next scene is about the Vietnam War that nobody is expected to win because it is so complicated. The war is fought using different modern and lethal arms by the militants. The militants attack each other by fighting from helicopters. Rambo is also always considered as the favourite character of the people who are movie crazy. It is a video game of the Rambo character who fights in the jungle using his handmade weapons. The next wonderful scene in the settings is about a war that takes place in remote Alaska. It portrays about the life of Alaska and the ways to survive in the wilderness. It involves the war between troops using ammunitions, guns and machine guns. As it involves the scenes of fighting in the wilderness, even a polar bear is pasteurized in the scene. You can also see different cottages being destroyed in the land. You can also see the battle in the snowyscapes and battling with the bears in the snowy mountains. Anybody can be impressed when they view the sci-fi settings of the alien planets. It is basically a war between the aliens on their planet. They wage war between each other using peculiar technical tool. Another interesting video about the ‘Call of Juarez’ that portrays the battle fought with gunslingers. It portrays about the cowboy culture that existed about hundred years back and the different strategies he used to fight in the trail. A cowboy is depicted as a person who is sitting on a horse and heading to the battlefield. Far Cry is a first person shooter video game that has a series of four games with many spin-offs. The first game developed by Crytek Studios was released in March 23, 2004. 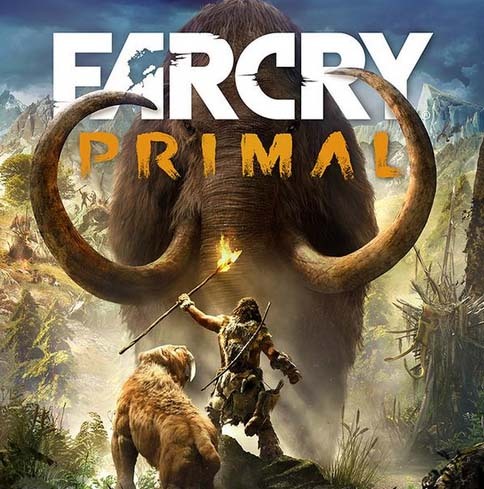 After the success of Far Cry 1, three other parts of the game were also made and the latest Far Cry 4 was recently released on November 2014. It became a huge success among the Far Cry lovers that they have started to expect the Far Cry 5 to be more amazing with interesting locations. There are many exotic locations that are expected to be seen in Far Cry 5 game. South America is on the top preferences for the game location as it has many natural sceneries like Mayans, cannibals, Atacama Desert, huge mountains and many added. It would be an exciting place for the fights and new traps in the game. Caribbean is one of the beautiful places in the world so playing the next far cry series “Far Cry 5” in the wonderful beaches and huge mountains will be very interesting for the players. The rebel fight in the forest and beaches of Caribbean would be most amazing with new characters in the game. Vietnam has the complex forests, which will make the fights more exciting with the enemies. It will be more fun fighting and doing things like American imperialism, assassinating the South Vietnam’s leader, entering into the jungle traps and many other. The South East Asia has some of the most interesting locations like Quang Binh Vietnam, Halong Bay, Angkor Wat/Thom Temples and others. The rebel groups would be more efficient to have wonderful gaming options. Ridding vehicles to chase the enemies in the mountains will be very interesting. Most people love to play in the jungle, as it will be interesting to play the game with hunting animals and enemies. Africa is the best place for this kind of game. Fighting in the Volcano locations will also be very interesting as there will be a thrill of running near the hot place and killing the enemies in the best possible way. Hunting and killing the enemies on the Greek island will be interesting to play. Most of us likes to play in the glacier locations as the fun gets double while playing in the multiplayer mode and the Far Cry 5 is expected to have the cruise ships with the snowy gameplay in the big glaciers. Firing the enemies in the SNOW will make the tanker ships to fire imminently and instantly to make the game more interesting. Fighting near the military camps will be easier and interesting. The improvement of vehicle is also on the high level so fighting the game with new model vehicle would also be enabled. Far Cry fans can share your Far Cry 5 location suggestion in the comment section below. 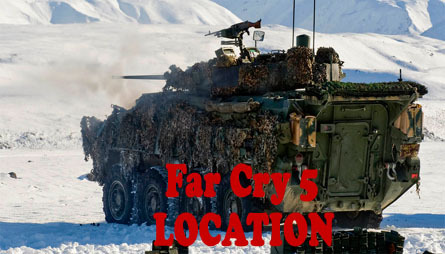 While sharing make sure you also add little bit description about that location and why it will be a perfect place for next Far Cry. As an exclusive game of thrill and fascination, the Far Cry series has gotten so many inspirational views and expectations. But, still the wishlist of this game is getting higher and higher. For the past four series of this Far Cry game, the wanted features have been implemented by the developers. This integration and evaluation have made this game to be a great desire and demand towards the players. Even though, the game has got several unique features and interesting, mysterious game play, the wish list of the players are not yet been fulfilled due to the increase in wanted features and integrations. Now, the upcoming Far Cry 5 has also got many wishlist features for PC, PS4 and Xbox One. Being the bigger version, the game is expected to get released with biggest fascinating features and functionalities. 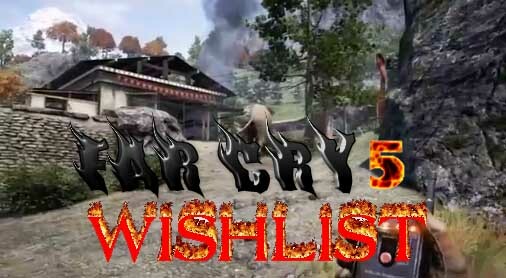 Let’s discuss some of the essential Wishlists for this upcoming series Far Cry. The new ideologies and the existing wishes for the past series of this game have got several importance and demands. In a virtual reality, people are able to enjoy the game with the facility to get provided with excellent ideas in game play, exclusive functionalities and consoles, unique features with a broader support to all the integrated platforms. With all these amenities, some of the wishlist that could be added by considering the views of the players is listed below. Since the game is going to be so bigger in terms of time and travel, the outposts and the world of wars given to the game must be expanded. In order to increase the features and the additional views, more facilities could be added to explore the rivers, mountains, lakes and much more. More quests could be added to enhance the views and prospects of the enemies in the game play. This quest should be added with fiction and as per the ideas of similarity related to the virtual environment. Each and every player wants to play this game with far trends. But the life and the protection functionalities are very less. So, the strategies of protection and life saving perspectives must be added. Some new weapons related to the wars assaults such as rifles, shotguns, tools could be added to enhance the crafting systems of this game along with the game play. The game theme is to be the survival in the jungle. Only, animals are left to attack the enemies. So, hunting vehicles are requested to get added upon the game. More likely, bikes, tanks and helicopters could get added well. The virtual environment and the accessories of this game will admire each and every player. To make it more effective, some attractive clothes and accessories could be added to play the mystery as per the desire of oneself. Increasing the fascinated aspect of the game play through the provision of individual, timeless and unique story mode could help the layer to feel comfortable with the virtual reality. Finally, with the inclusion of all the above mentioned wishlist, the Far Cry series lovers could be able to expect for the release of factual Far Cry 5 in a short span.